Cook udon per package directions and drain when done. 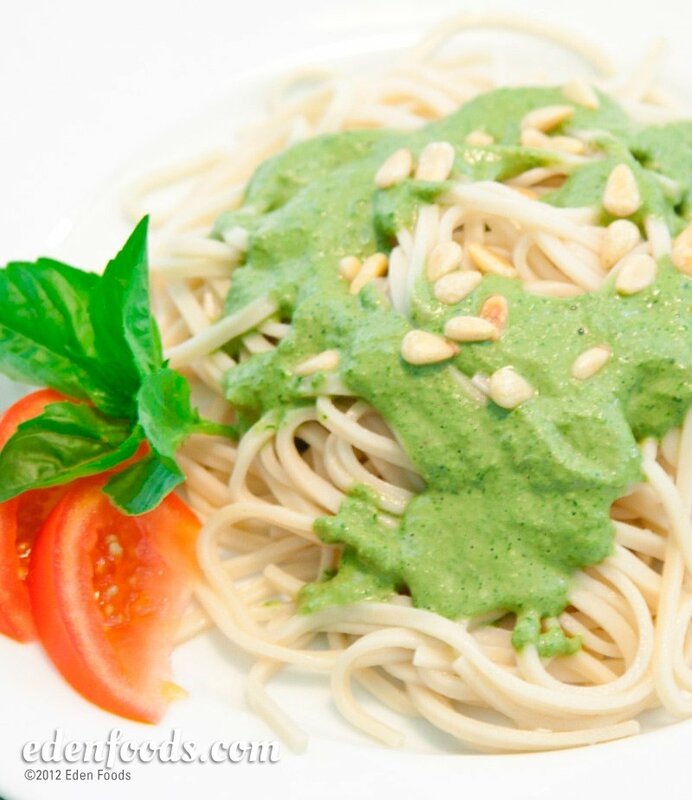 While the udon is cooking, place all pesto ingredients in a blender and blend until creamy. Serve over udon or mix in before serving.